Consider our Contacts module to be your clubs' online address book, integrated with your eBulletin and email. Besides basic information such as name, phone number and primary email address, you can also store details such as birthday, anniversary and nickname, in addition to contact information such as home and work address, secondary phone numbers and email addresses, etc. Even import from or export contacts to Excel! Create non-member lists to track sponsors, volunteers, supporters, prospective members and more! Besides basic information, you can also store details such as birthday, anniversary, nickname, home or work address and more. Create numerous groups to better manage your contacts and understand their involvement with your club. Separate them by friends, prospective members, bulletin subscribers, sponsors and more. Labels will allow you to color code and categorize each group making it easier to identify a certain set of people. This makes it easy to email just a few specific people, whether you want to send club announcements, a request for volunteers or an invitation to an event. Contacts are already integrated with ClubRunner's communication tools. 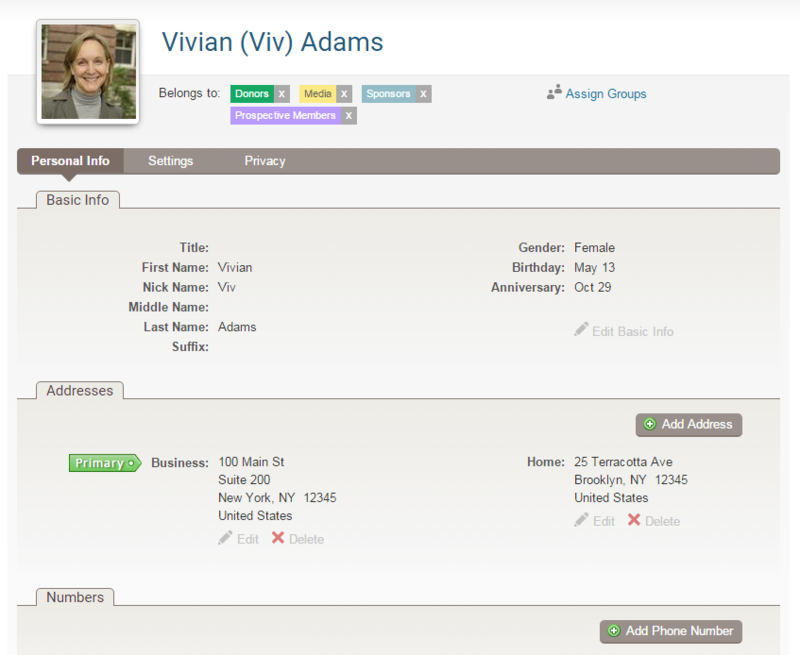 Simply expand the Contacts Groups sections found in your distribution lists to fine tune your recipients even further! For higher capacity needs, please contact us. Additional contact credits are added on top of your limits as specified above, and require an annual contract that will coincide with your ClubRunner contract. You can purchase credits any time during your subscription term at a pro-rated fee for the remainder of your subscription. Simply contact us to purchase additional credits. *Subject to the terms and conditions in the ClubRunner Subscription Agreement. All credits purchased will expire at the end of your subscription term. Every ClubRunner subscription comes with a powerful suite of features to improve productivity and streamline processes. This website was built on the ClubRunner platform.